Even though it has been many years since the helmet law in PA has been repealed, this issue isn’t going away any time soon. 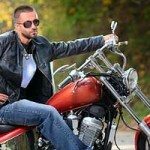 Current Pennsylvania law allows a licensed operator who is over 21 and has 2 years of riding experience and/or has completed the motorcycle safety course, to ride without a helmet. The law is once again under attack in PA, as several congressmen are in the process of preparing a bill to rescind the law. 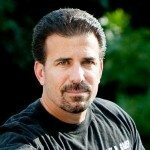 Truthfully, I am not familiar enough with the current crop of legislators to know whether this bill will pass, but given the conservative nature of the legislature, any Pennsylvania motorcycle injury lawyer I would not be surprised if PA will once again require all motorcyclists to wear a helmet. For more information on this I suggest you contact your local A.B.A.T.E. Chapter. Adding fuel to the fire, I read an article about a rider, who while participating in a helmet law protest ride in New York, was killed when he was involved in a one-motorcycle accident. Apparently he died from a fractured skull and according to the emergency room physicians, had he been wearing a helmet, he would have survived. Given the irony of this situation, I am sure that not just Pennsylvania, but all of the states trying to re-enact helmet laws, will get a lot of mileage out of this sad turn of events. On another note, although most of the conversations about injuries involve helmets, most of my motorcycle accident clients do not suffer head injuries, but more commonly suffer from broken bones in addition to “road rash”. 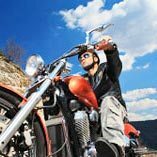 Although road rash is not life threatening, it is often described as the most painful type of injury suffered in a motorcycle accident, and can lead to loss of wages because of temporary immobility. Anyone who has ever had to endure the pain involved in the debridement process (scrubbing of the wound with a wire-like brush to clean out gravel, dirt etc.) and dressing and re-dressing of the wounds often say it is the most painful situation they have been through. I recently witnessed this first-hand as I was with a client who was having her bandages peeled off in order have her wounds cleaned and re-dressed. The pain she experienced during this procedure must have excruciating based upon her sobbing and cries of distress as this was taking place. I mention this because when the weather turns warmer, many riders wear nothing more than a tank or t-shirt and some even wear shorts and sneakers. However tempting this may be, at a bare minimum, no matter the weather, everyone should have on boots, jeans and at least a long-sleeve t-shirt and some type of gloves. There are also many light-weight mesh jackets that can be worn with minimal discomfort. This clothing, while perhaps slightly uncomfortable, will protect you from a great deal of pain if you are ever involved in an accident. So while the helmet issue may grab the headlines, I would suggest that whether you chose to wear a helmet or not, at a minimum you should wear as much protective gear as possible. Although I have been fortunate not to have personally experienced road rash, I have experienced first hand the horror these burn-type motorcycle accident injuries can cause if you are ever forced to slide across the roadway for any distance. If you would like additional information on this topic, or any other, call me at 888-292-5352 (888-CYCLE-LAW). Remember, motorcycle accident attorneys protect your rights.